Best VPN for Torrenting: Top 5 for Speed, Security, and No IP Leaks! As the consequences of copyright infringement continue to escalate around the world, many people are looking for the best VPN for torrenting to stay safe and secure online. Media companies are increasingly monitoring torrent traffic and collecting IP addresses from torrent swarms. Depending on where you live, you may receive copyright violation notices from your internet provider, or perhaps from a law firm demanding immediate payment for “damages” on behalf of a copyright holder. While some torrent clients offer different encryption options, these will not protect you. This is because media companies run networks of monitoring nodes, which are able to join torrent swarms and collect IP addresses and connection data of the infringing parties. If your torrent client connects with one of these nodes and you are not using a good VPN (that doesn’t leak! ), your identity could be compromised. Despite having a stable VPN connection, this provider had many different leaks that de-anonymize the VPN user. This illustrates the importance of choosing a torrent VPN carefully. Now that we’ve covered the bad, let’s jump into the best VPNs for torrenting. Based on the latest test results, the best VPN for torrenting is ExpressVPN. ExpressVPN offers superior download speeds as well as high-security applications that keep your data safe and do not leak. These apps also include a kill switch (Network Lock) that blocks all traffic if your VPN connection drops for any reason. 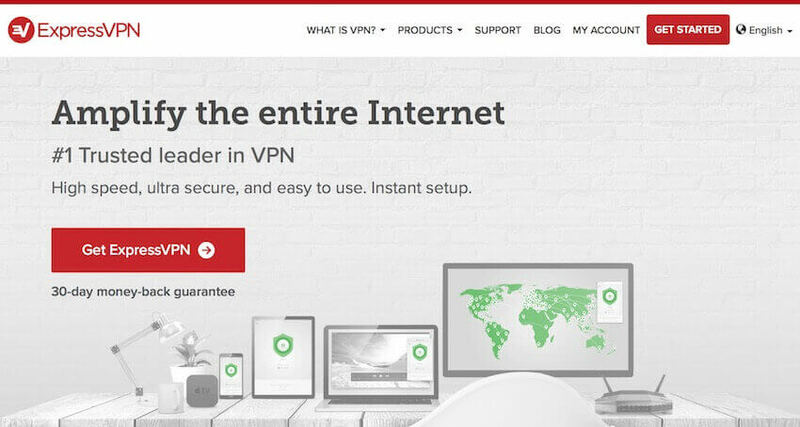 ExpressVPN is also currently offering a coupon for three months free (through this link you’ll see the coupon applied on the checkout page). Now we’ll take an in-depth look at each VPN service. ExpressVPN is an excellent VPN for torrenting and P2P downloads with the best speeds and highest security standards (currently the #1 recommendation in the best VPN report. This British Virgin Islands-based provider has a great lineup of custom applications and it also performed very well in testing for the ExpressVPN review. ExpressVPN offers strong protections for customer data with a solid no logs policy, very secure applications, and offshore jurisdiction. The biggest advantages of ExpressVPN is that it is extremely fast and very secure. ExpressVPN is consistently among the fastest VPNs I’ve tested, on servers throughout the world. Their apps also include advanced leak protection settings. This allows you to torrent for hours without worrying about IP address leaks because the Network Lock feature will block traffic if the VPN connection is interrupted for any reason. If you want a fast, secure, and user-friendly VPN service for torrenting, ExpressVPN is definitely worth considering, especially with the coupon below. … or read the ExpressVPN review for detailed test results. Perfect Privacy is another great VPN for torrenting with very secure, leak-proof apps along with excellent speeds. Their network is comprised entirely of dedicated, bare-metal servers that offer great performance, security, and full IPv6 support (you will get both an IPv4 and IPv6 address). Every server in their network also supports multi-hop VPN chains and port forwarding, which can be is useful for torrenting. 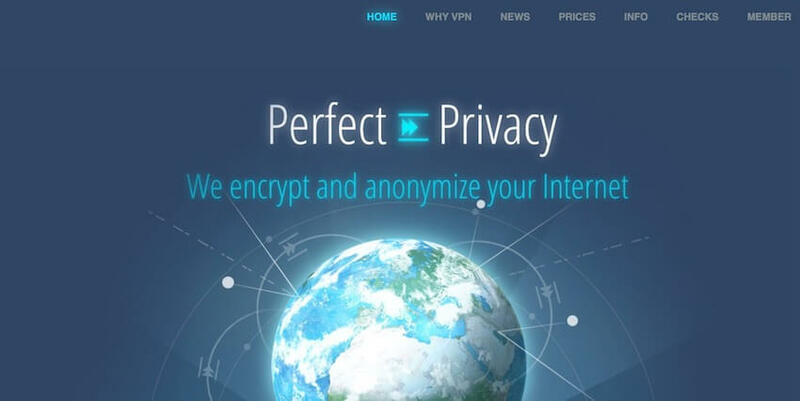 If you are serious about security and online anonymity, this Switzerland-based, no logs VPN service is tough to beat. Another great feature you get with Perfect Privacy is the TrackStop filter, which effectively blocks advertisements, tracking, and malware/phishing domains at the VPN server level. The main drawback is the price, at about €8.95 per month. But your subscription also gives you an unlimited number of connections to use with all devices, advanced features, and excellent performance. For additional test results, see the Perfect Privacy review. … or read the Perfect Privacy review for detailed test results. Another solid choice when selecting a VPN for torrenting is VPNArea. This Bulgaria-based provider offers good applications that did well in testing for the VPNArea review. VPNArea is a strict no logs service that offers some decent features (ad blocking) and access to Netflix and other streaming services. Many of the servers in VPNArea’s network are optimized for torrenting and P2P downloads with high-bandwidth data channels. It is also one of the few VPNs that work with Netflix with dedicated streaming servers. VPNArea passed all privacy and security tests while also having good speeds and reliability. Overall VPNArea is a solid privacy-focused VPN service that works well for torrenting. … or read the VPNArea review for detailed test results. Another great VPN service for torrenting is NordVPN. NordVPN is a Panama-based VPN provider with a strict no logs policy and a nice lineup of VPN apps. It performed well in testing for the NordVPN review and continues to offer one of the best values for your money with the 75% discount coupon. While there is some variability with the network speeds, NordVPN still offers good overall performance for torrenting and P2P downloads. If you’re a privacy-focused user, NordVPN has many features you may be interested in. These include double-hop VPN servers, Tor-over-VPN servers, and a well-designed ad-blocking feature that is built into the VPN apps. Whether you are using NordVPN for torrenting, accessing Netflix, or just basic internet browsing, it remains a great all-around choice at a very affordable price. … or read the NordVPN review for detailed test results. VPN.ac offers reliable applications with advanced leak protection features, double-hop VPN configurations, numerous encryption options and VPN protocols to choose from. They do not limit torrenting traffic in any way, while also providing designated servers that are optimized for high-speed P2P downloads. The one drawback with VPN.ac is the connection logs, which are used for security and network optimization. But on a positive note, these logs only include basic connection data (no browsing/activity info) and everything is automatically erased daily, further explained on their website. … or read the VPN.ac review for detailed test results. Now that we have examined the best VPNs for torrenting, we will go over why it is important to always use a VPN when torrenting to protect your identity. Some people may torrent without using a good VPN for months and not have problems, thereby “flying under the radar” and avoiding the consequences. However, this is risky business. United States – The US is home to the infamous Digital Millennium Copyright Act (DMCA). For repeat offenders, DMCA penalties for copyright violations include up to $1,000,000 in fines and 10 years in jail. Internet providers in the US are also cancelling service for repeated copyright violations (see the VPN for USA guide for details). United Kingdom – The Digital Economy Act was recently passed in the UK, which raises the maximum prison sentence for copyright infringement to 10 years (discussed more in the UK VPN guide). Australia – Many torrenting websites have already been blocked in Australia (but a torrent VPN will get around these restrictions). Now, industry lawyers will be targeting copyright infringers for damages with fines up to $2,000 per infringement (get a VPN for Australia). We see these trends throughout Europe as well, particularly in Austria, Denmark, and Germany. So no matter where you are located, using a good VPN for torrenting and P2P downloads is now just basic digital self defense. You should also know that without a VPN hiding your identity and IP address, you can be easily tracked, monitored, and recorded online. Never torrent without a VPN – otherwise your IP address and torrenting activities may be publicly displayed. This makes you an easy target for copyright infringement violations. Thanks to websites such as I Know What You Download, it is even easier for copyright attorneys to target users. If you are using a good VPN for torrenting, the most any media company could do is go after an overseas VPN provider, but they would not have any luck due to the offshore jurisdiction. If you are using a good VPN service that effectively secures your connection, then torrenting with a VPN is indeed safe. In fact, it is much safer than torrenting without a VPN service. If you want blanket protection for all devices on your network, you may also want to consider using a VPN router. This allows you to protect everything on the network without having to install VPN software on each device. What is the best free VPN for torrenting? The problem with using a free VPN for torrenting is that free VPNs are notoriously dangerous. Data leaks – If you are torrenting with a free VPN you should know that your IP address is likely being leaked. One in-depth study found that 84% of free VPN apps will leak your IP address. Tracking – Free VPNs often included hidden tracking libraries. One example of this is Betternet. Malware – Many free VPNs include hidden malware to collect your data. This study found that nearly 40% of free VPNs tested positive for malware. Stolen bandwidth – Some free VPNs will even steal your bandwidth, which will then be resold to third parties (see Hola VPN, for example). The bottom line here is that using a free VPN for torrenting is not safe or secure. 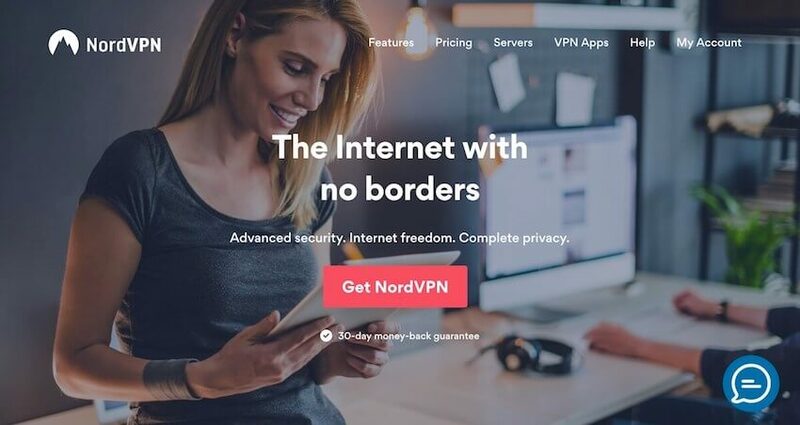 If you are tight on money, you can go with a lower-priced service, such as NordVPN, which is currently available for $2.99 per month with the NordVPN coupon. 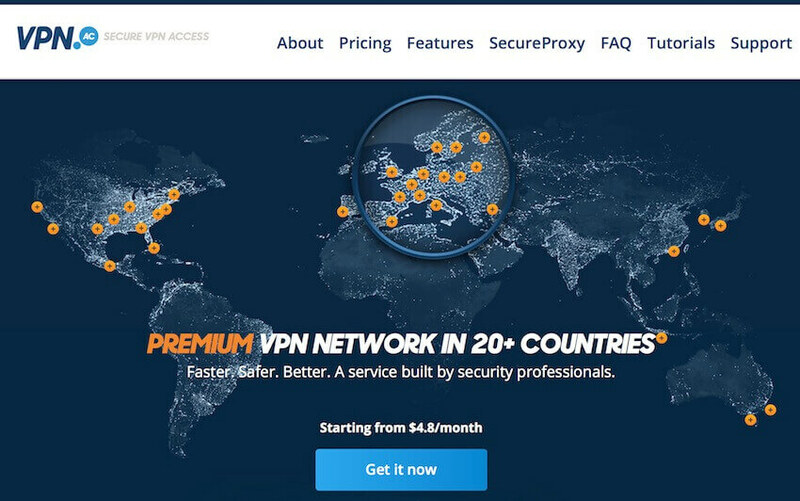 As an alternative to free VPNs, you can check out free trial VPN services. Internet service providers (ISPs) in many countries are now legally allowed to record your activities and hand this information over to third parties. These third parties may include advertising companies, corporate partners, and/or government authorities (surveillance). Many ISPs are cancelling internet service for repeated copyright violations (common in the US). Governments and ISPs are actively blocking torrent websites, such as The Pirate Bay and 1337x, throughout the world. This is common in Australia, the United Kingdom, and parts of Europe. 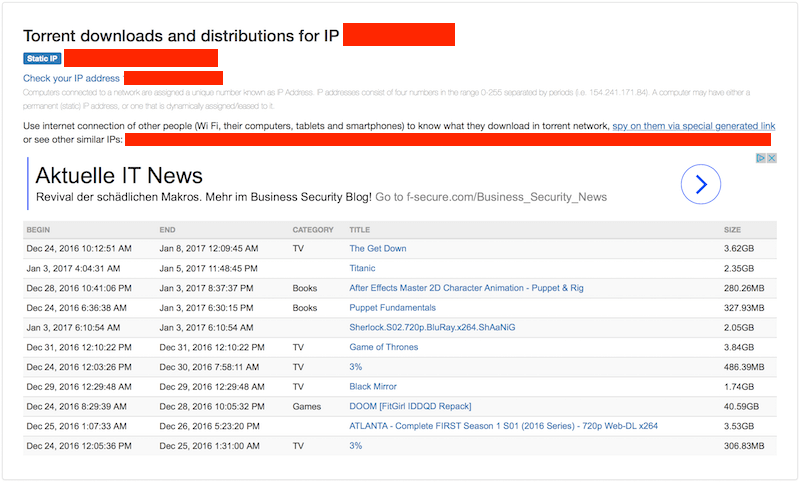 Websites are now publicly posting all torrent activity associated with your IP address, which can be viewed by anyone and used to prosecute people for copyright violations. Last updated with the latest test results on February 26, 2019. If my understanding is correct, a copyright holder would need to identify the IP address being used to torrent and they would then contact the vpn provider to serve a DMCA notice, but if the vpn service doesn’t keep logs, especially a user’s IP address then the vpn company can’t pass that DMCA notice onto the user. Does that sound right? If so then it makes sense to go with a company that has been audited to prove they don’t log such as vypr has. I know there has been other vpn providers that have claimed not to log but were then exposed as actually logging so I’m not willing to just blindly trust anymore. I’m also a little confused why so many people think using cryptocurrency is important when buying a vpn. I mean unless you’re in a country like China or Russia where vpns are illegal all you are doing is buying a vpn service and there is nothing illegal about that, or am I missing something? 1) Jurisdiction: DMCA complaints are null and void with a VPN provider in an overseas jurisdiction where these copyright laws do not apply. So yes, they could send a DMCA takedown notice to ExpressVPN in BVI, or VPN.ac in Romania, and the VPNs would just laugh because they do not need to comply with these laws. 2) Logs: Yes, a VPN that does not keep logs has no data to hand over. So again, a DMCA complaint would be worthless. But even a VPN with minimal connection logs, such as VPN.ac, would still not comply because they are overseas, and the data would have already been erased (after 24 hours). A more realistic situation would be for a copyright holder to pressure a data center in New York, for example, to shut down a server with lots of torrenting traffic. This does happen sometimes and it’s why VPNs may restrict torrenting to specific regions. But again, the user is protected and there’s nothing to worry about from the torrenter’s perspective. Definitely not recommended. When I tested it out for the PureVPN review I found DNS leaks, IPv4 leaks, and IPv6 leaks. Not too long ago they cooperated with US authorities by logging customer data and handing it over to the FBI for a criminal case. Some commenters are also complaining about PureVPN refusing to issue refunds. How good or safe is CyberGhost VPN especially on Ubuntu linux? Here’s the CyberGhost review but I did not test on Ubuntu. How safe is vypr for doing this. In there tos? it seems they dont log anything but say if they get a letter they will suspend your account and seems not protect you. I dont torrent or download anything. what about streaming from an apk or kodi here and there. I was about to actually get their service till I ran into a few random reviews that say they will help agencies just about. if they are really no log how could they help at all? then again reviews are not legit many times. Express is too pricey. Read some bad things about pia, what do you think of them? – They are no a certified no logs VPN provider. Just like with nearly every VPN service, they will have an official policy along the lines of “don’t use our service for copyright infringement” – but this is essentially unenforceable. I discussed this issue also in the VyprVPN review, where I confirmed the new policy after reaching out to VyprVPN staff, since this is a big change over their previous torrenting policies. Long story short: VyprVPN is a good choice for torrenting with their new policies. Hi Sven, Really an unbiased blog on vpn’s by the way, only one around i’ve seen. I’ve more picking apart vpn’s for sport now it seems, but i’ll probably get one now mainly because I just heard my isp can sell my info i believe, that is once i find one that doesnt seem strange, lol. Was a little concerned about vyprs personal data asking in there privacy page, so i had another chat with them. According to the chat i had with them about that page, It is required for the customer to give them personal info if they ask them for it. I asked if it was voluntary and they replied it’s required. Also i pointed out the “rights” section on that page that says you can change your personal info or remove it from their systems, and I was told that’s only for europe. it doesn’t say just europe in that section but they said it is anyway (guess you only have rights if your in europe). I do see on that page that they only retain it so long as needed, but one of their (as needed) is to maintain their services, which I guess they always maintain their service. In chat they said it’s only gone after your cancelled, and you can only remove the info (Personal Data that is associated with your account can include your name, email address, phone number, payment information and/or physical address) if your in europe. When I asked them if I can have my personal data deleted as it said in rights section, they replied…. They say you pay them through a 3rd party which they wont disclose who. But the reason they gave me for requiring you to give them your personal info when asked or whatever is for billing purposes. Why do they need this when they are not handling the payments? Most vpns offer anonymous ways to pay, or at least say your info is encrypted by the ones that process your payment and the vpn only has the last 4 # of your card (And most will tell you who the 3rd party is that is processing the payment). I’m not a big fan of crypto stuff as it seems shady to me, I would rather pay by cc as i don’t think it really matters anyway. But when a vpn itself is demanding personal info if asked for, for payment reasons, and its a 3rd party processing the payments, not the vpn, it seems really invasive compared to other vpn’s and strange at best. Now in their chat defense sort of, (and it isn’t 24/7), in the chats i have had with them, some seemed to know what they were talking about and some not. Some Major contradictions from one chat to another. So maybe they just didn’t know what they were talking about in the last chat (they seem to be relaying the questions somehow, with some reps). I like the looks of the vpn, and really wouldnt matter a lot to me to give them personal info, but does this seem normal for a vpn? Here is the final part of the chat that really kind of got me when I told them most vpns don’t demand personal info when asked, and they admitted most don’t but they do…. Quote…. That just doesn’t seem like a good enough reason to ask for a lot more then others do. Let me know what you think and If should make someone concerned, or if i’m just picking it apart too much, lol. Your much more of an expert on vpn’s then me………Thanks. Hi Scott, the ultimate question here is if VyprVPN aligns with your threat model, given that they ask for personal information (which is indeed a drawback). If the answer to that question is no, then there are many other high-quality VPNs out there, where you simply register with an email and pay for your subscription, no personal information required. (See for example ExpressVPN, NordVPN, VPNArea, and Perfect Privacy.) And if you don’t want the VPN linked to your regular email, there are many good secure email providers you could use to open a new email account. That long reply was more about the security of the payment info. The fact that you pay a 3rd party server to process the payment and then have to give the actual vpn the payment info again if they ask for it, That payment method should remain secure with the processor of the payment. At least in that generalization, the leak accusation isn’t entirely fair towards the VPN providers in my option. The only leaks your example in the screenshot shows are IPv6 related ones and DNS, where the latter isn’t exactly great to have but on the other hand doesn’t really cause a threat either at least when it comes to “just not exposing one’s public IPv4 address to the torrent honeypots”. As for the IPv6 leak one can disable IPv6 when in doubt, problem solved with any VPN provider.